I’d been up on Sugarloaf (Pão de Açúcar) all afternoon, taking pictures of the Rio de Janeiro harbor. It was June, 2006 — winter. Dusk came early. I caught this photo just as city lights were beginning to twinkle. Corcovado, the hill with the famous statue of Jesus (Cristo Redentor) is prominent on the skyline. 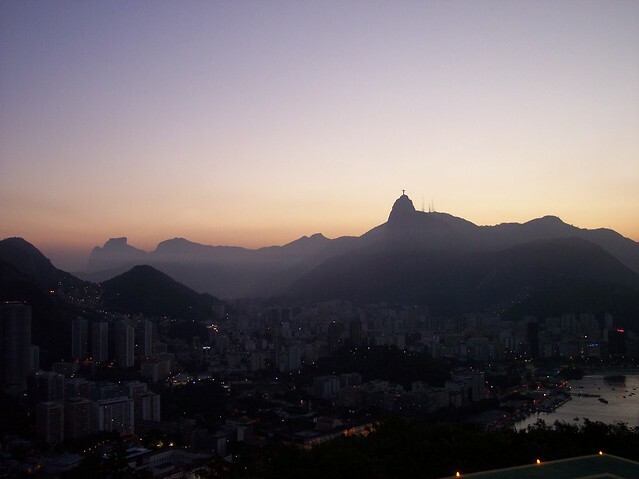 This entry was posted in Photos, Poetry and tagged city, corcovado, dusk, harbor, lights, rio de janeiro, smog. Bookmark the permalink.